Welcome to Lily Barnett's Site! Don't forget to visit Lily's blog for updates and sign Lily's Guestbook to let us know you were here! Like to shop? Looking for a unique way to support and spread awareness for SMA? 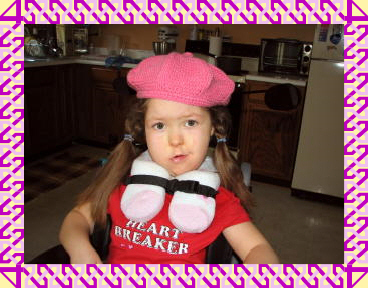 can help spread awareness about Spinal Muscular Atrophy in fun and unique ways. Newly Updated Pages! Be sure to check them out!